A kitchen remodel is one of the largest home improvement projects you can take on. But hopefully, after weeks of disruption and much expense, you’ll have a kitchen to be proud of. Unfortunately, some basic kitchen planning mistakes are distressingly common, and can lead to an expensive disappointment once the remodel is finished. Here are nine errors to avoid. A typical kitchen’s contents will always expand to fill the space available. 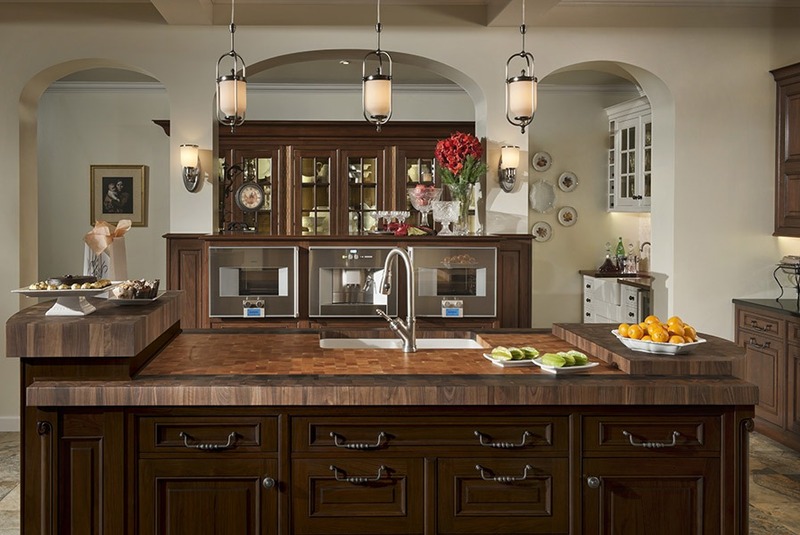 Even the largest kitchen needs careful planning to prevent clutter from building up over time. While it’s important to keep a kitchen roomy and airy, it’s also vital make efficient use of space by squeezing every inch of storage or utility out of the design. Make an inventory of your current storage, and make sure your design has at least as much discrete and usable space available, and preferably more. Also, think beyond the usual wall-mounted cabinets for extra storage. Corner cupboards, vertical drawers, and over-window shelving can all make a significant difference to storage capacity while also adding visual interest. However, it’s also important not to squeeze so much into your kitchen that it’s too crowded to be safe and comfortable. If a kitchen layout can’t accommodate more than one or two people without them bumping into each other, the basic design needs a rethink. One way of doing this is to prioritize your appliances and other features. Which ones do you really need, and which ones can be sacrificed to free up some working space? A kitchen packed with all the latest gadgets is of no use if it’s too crowded to safely use. Always start your kitchen design from the usability standpoint and add looks later. For example, if your stove is at the opposite end of the room to your sink, you’ll be carrying hot pans around more than you need to. If your fridge opens out into your dining area, you’ll be constantly interrupting guests as you cook. Think about how you’ll actually use your kitchen on a daily basis, and develop your design ideas from there. On a related theme, it’s a common mistake to ignore clearance considerations when planning a layout. If opening the dishwasher blocks access to your crockery storage, for example, what seems to be a minor inconvenience will quickly grow into a daily irritation. Right from the start of your design, think of how the various doors, drawers, and openings can work in harmony with each other. Although plenty of workspace is important in a kitchen, don’t make individual surfaces too large, particularly islands. Oversize surfaces will dominate the space without adding too much extra utility to compensate. Unless your kitchen is generously spacious, err on the side of slimline surfaces, which remain useful without taking up too much room. Designing a kitchen gives you plenty of scope for individuality, but the results need to fit in with the rest of your home’s decor. A pleasingly rustic kitchen set in a sleek modern apartment will look out of place. While a remodel gives you a free hand in designing the kitchen you want, remember that it’s not a completely self-contained room, but an integral part of a happy home. Remaining on the decor theme, try and avoid being too on-trend with your choices. What looks impressively fashionable today in a kitchen showroom may not be so appealing a few years down the line when fashions have moved on. Style and looks are important, but your kitchen needs to last for a decade or more, so a light and classic touch with decor fashion is important. Don’t decide which materials to use just from looking in a huge, well-lit kitchen showroom. Always take samples home and see how they work in your own home. They’ll often look very different, and it’s better to find this out before you’re committed to a purchase. Lastly, make sure you’ve drawn up a solid plan and double-checked every detail before beginning your remodel. Making changes and fixing errors when work has already started is a recipe for soaring costs and increased disruption. Even if you design your own kitchen from the ground up, having your final plans checked over by a professional kitchen designer can be a good idea. It may add a little to the upfront project cost, but taking expert advice could save you plenty of cash and heartache later. Remodeling your kitchen is an exciting project, but don’t get carried away with enthusiasm. Taking the time to get the details right before you begin will pay dividends, helping to give you the kitchen you’ve been dreaming of.